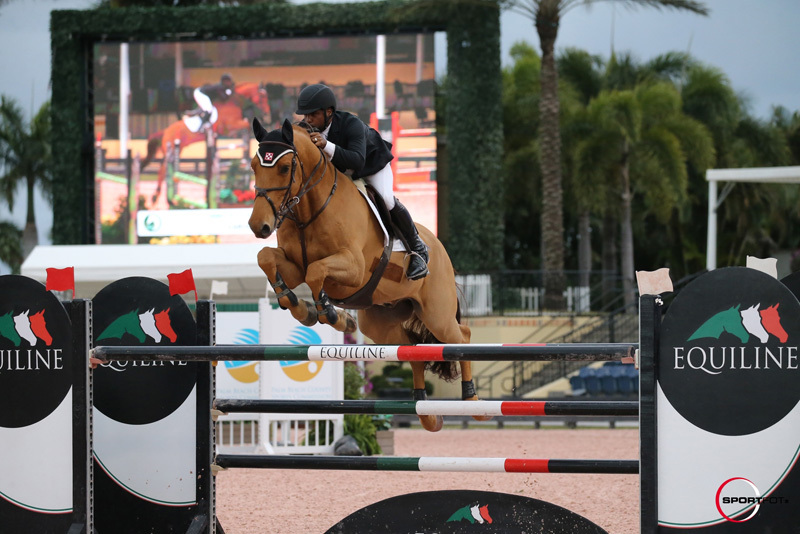 Ki-Juan Minors — a Bermudian equestrian based in Florida — competed in a special qualifier that was recently held in Wellington, Florida, and has successfully secured one individual show jumping spot for Bermuda at the 2018 CAC Games in Barranquilla. “This qualifier event qualifies the country to compete at the Games,” the Bermuda Equestrian Federation [BEF] explained. “The 2018 CAC Games will be held in Barranquilla, Columbia from July 20th – 3rd August 2018 and it is Bermuda’s intention to send a qualified individual. The height of the CAC games will be between 1.35 m and 1.50m. The show jumping competition will consist of a maximum of 40 Athletes / Riders, with a total of 8 teams and 8 individuals,” the BEF said. Jaime Masters McDowell, Head of the International Committee and Vice President of the Bermuda Equestrian Federation [BEF] said: “The Bermuda Equestrian Federation would like to congratulate Ki-Juan on his achievement at the recent qualifier in Wellington. When asked about the experience, Mr Minors commented: “I felt that despite the weather conditions, giving what seem to be an example of all four seasons, I was very confident each day and became more and more determined to represent myself as well as my country to the best of my ability. “I would like to give my sincerest thanks to Todd Minikus, for providing me the ride on this amazing horse, Carvelo Z, who is owned by Axel Verlooy. Thank you to U.S. Grand Prix rider and friend Mavis Spencer for stepping up to the task of Chef d’Equipe and keeping my head cool during the pressures of the competition.